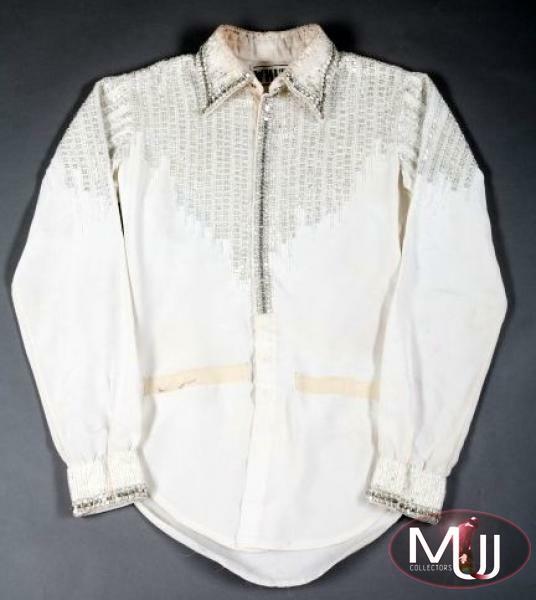 White silk front closure shirt with crystals, bugle beads and rhinestones on the collar and shoulders designed by Bill Whitten. 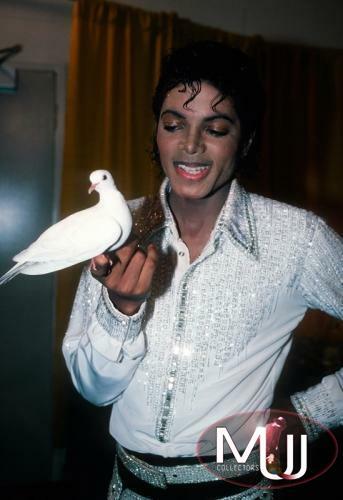 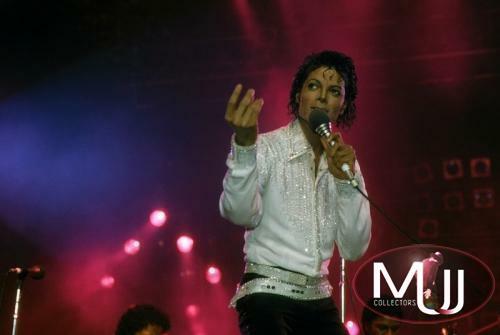 Michael wore this shirt during the 1984 Victory Tour. 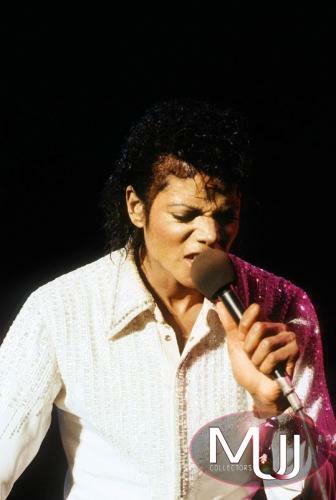 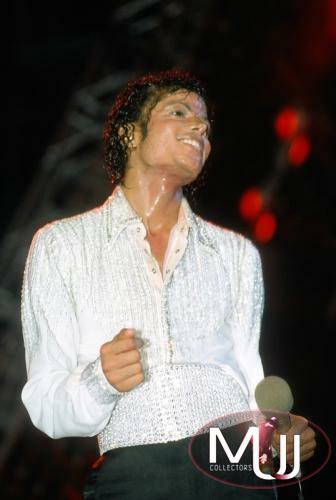 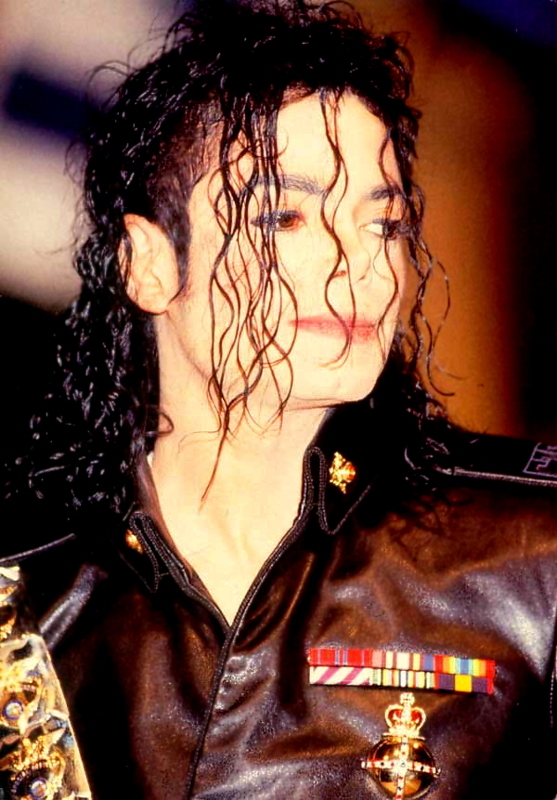 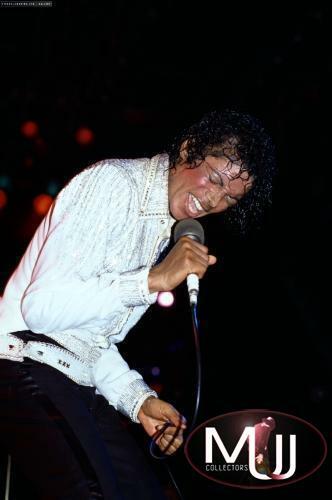 The shirt features velcro cuffs at the waist to keep the shirt in place during Michael’s performance.